"We couldn't be more happy with the level of professionalism, enthusiasm, and patience she has maintained throughout the selling and buying processes. She's very knowledgeable, responsive, and make sure we're updated with any new information. She's also very personable and keeps our interests in mind. She has made the experiences of selling and buying less stressful and more exciting. 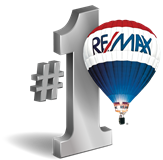 "...We were so thankful to have Gretta Sheffer as our Real Estate Agent. She was professional, knowledgeable, and yet personable. It was important to us to have an agent who had a lot of experience and who knew the Cerritos area well. She fit that description. My precious mother had just passed away, and my brothers and I were selling her home, so it was a very emotional sale for me. Gretta was sensitive to this in all her dealings with us, and I appreciated that a lot. She answered all of our questions and phone calls quickly and moved the sale along well. We would recommend her highly." "...Gretta and her team were excellent in handling the details of a listing and sale of a trust property. 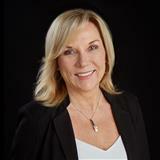 From evaluating the property for potential sale, to the final closing, Gretta Sheffer was involved in every step directly or provided a valuable resource. The next sale of property will be through Gretta"
serving Orange and Los Angeles Counties. I’m a professional Realtor who will help make your sale or search for a new home an enjoyable experience. Are you thinking of buying a home in the next 60 days? Finding the right home can be an intimidating process. Yet no matter what you are looking for, as an experienced Realtor, I can provide you with the resources you need to make the home buying process simpler. These include specific neighborhood information, tools to estimate your mortgage payments, and buyer resources and articles that will help you feel at ease throughout your home buying experience. Thinking about selling real estate in Orange or Los Angeles County? No matter which market you're in, you will need the marketing resources and experience of a qualified Realtor like myself to help sell your home quickly and at the right price. Learn more about my services, see information about recent home sales in your area, or contact me to get started today. Please take a minute and browse my local neighborhood and school details, real estate mortgage information, and interactive maps for the Orange and Los Angeles county market. Please feel free to contact me directly if you have any questions about the real estate market in your area, or buying or selling a home in Orange or Los Angeles Counties.